She fell in love with the neuron during her first semester in college, and from there her passion for science took off with a bang. 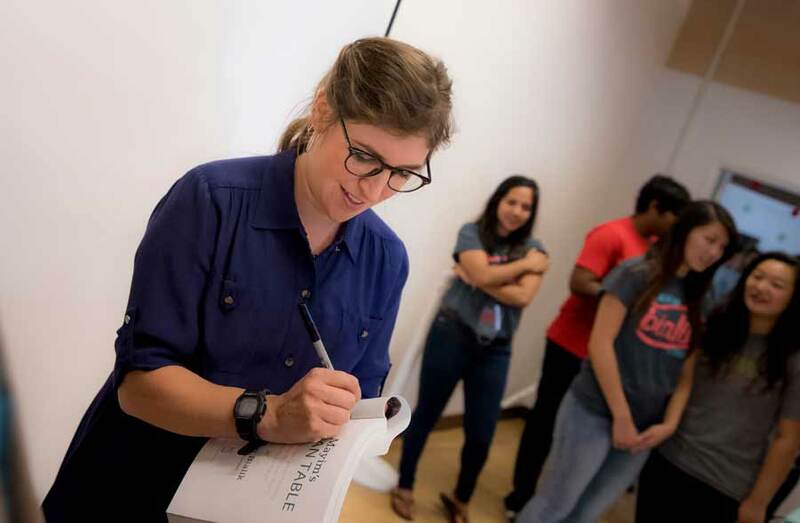 As a trained scientist, Mayim Bialik’s portrayal of neurobiologist Amy Farrah Fowler on the CBS sitcom “The Big Bang Theory” comes naturally. 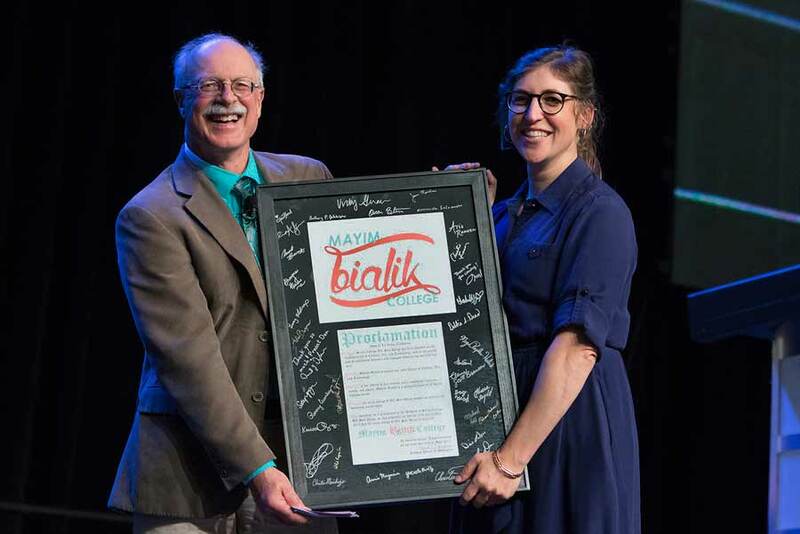 The show is currently the top-rated comedic television series in the nation, and Bialik uses her celebrity to serve as a female role model and advocate for STEM education (science, technology, engineering and math), a cause she feel strongly about. Born in San Diego and raised in Los Angeles, Bialik started acting in 1986 with small parts in series like “MacGyver” and “Facts of Life.” Her star was launched after playing a young Bette Midler in the movie “Beaches,” which led to her being cast in the lead role in the NBC primetime show “Blossom” in 1991 at age 14. 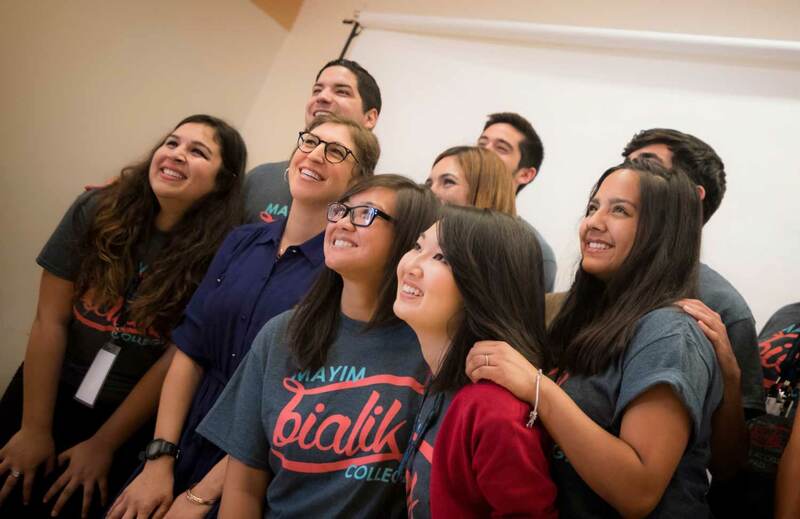 During that time she was tutored by a dental student from UCLA, the person Bialik credits not only for introducing her to the enjoyment of science, but also the way she learns. According to the actress, science has remained the dominant force in her life, even as her fame as an actress has continued to skyrocket. She uses her celebrity as a platform to promote science education for all, especially young girls. Her goal is to put a female face on science and highlight the importance of educational equity. “Name a newspaper, name a magazine, they won’t do an article about STEM advocacy, but they will do an article about an actress on ‘The Big Bang Theory’ and her love for STEM advocacy,” she said. 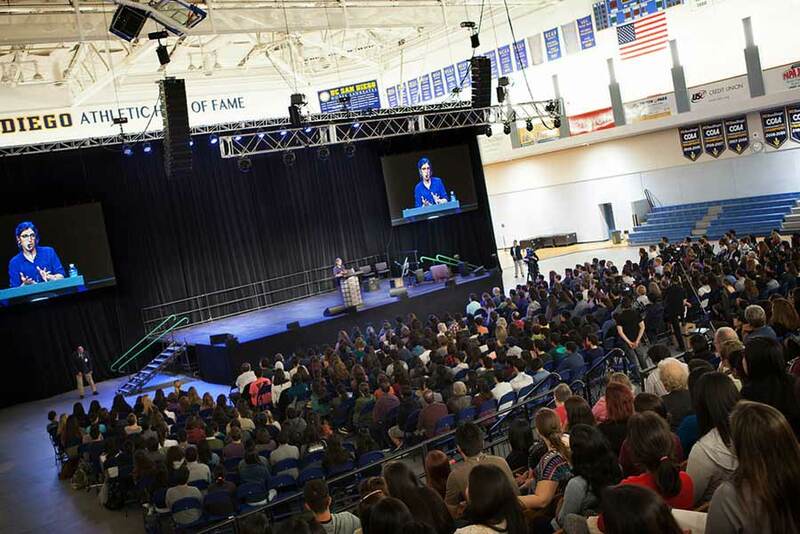 Near the end of the presentation, students had the opportunity to ask the Bialik questions, which ranged from her favorite music to her most memorable fan encounter as well as more serious questions such as ethical challenges in neuroscience. She shared that the monkey used in several scenes on the show is named “Squirt,” and is the same star from the movie, “The Hangover.” She imparted that she cried when she met Stephen Hawking, who appeared on an episode in 2012. And when she was asked who she would switch lives with for a day if she had the chance, she jokingly replied in the guise of her character—“Kaley Cuoco-Sweeting!” (who plays Penny on the show). On being both an actor and an academic, Bialik says that her first love will always be science.